Out of Province Inspection? Safety? Pre-Purchase? Insurance? 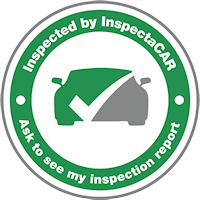 Whatever your inspection needs are, we can help. We feel that you should be the one in charge of your vehicle’s needs and maintenance. Our technicians are licensed and trained and ready to offer you the best advice possible. They will explain what is going on with your vehicle and give you a printout detailing any needed repairs. They will then allow you the flexibility to make better informed decisions on your vehicle repairs. This is our 200 point mechanical inspection. It provides a check of all the safety items as well as the charging, starting, and electrical type items. We recommend this inspection before taking your vehicle on a road trip or if you are wanting the basic mechanical items checked out. This is our most thorough inspection. 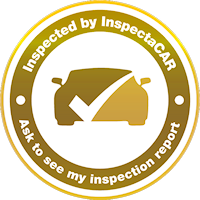 It is a 240 point inspection and provides the best protection when purchasing a pre-owned vehicle. It includes a Free CarFax Claims Report (up to $36.45). Ask Reception about our Free Bill of Sale Forms and Advertising if needed. For further protection when purchasing a vehicle, check out our tips in our classifieds section. This is our basic 100 point safety inspection as required by insurance companies. It covers basic safety items such as brakes, tires, steering, and lights. It comes with the necessary government insurance forms. This is the inspection that you need in order to register a vehicle that was previously registered out of the province. It conforms to the government requirements and includes the necessary out of province forms. We offer inspection services that meet the needs of vehicle Dealers. Contact Us for details and pricing. Add Repair Estimates to any inspection for only $30.00. Prices vary by quantity, location, and service package. Contact Us for info. PCM (MIL, SES, etc.) lamp fails to illuminate.